Success breeds success. After being named one of the best small businesses in Loveland earlier this year, Grimm Brothers Brewhouse is continuing on a streak of new brews and future events. 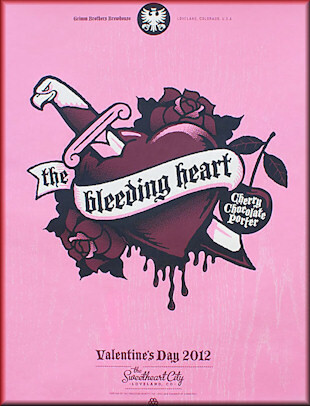 Today, they released a newsletter detailing upcoming events, releases and results from their Valentine's beer release. The following is an copy of their newsletter. If you'd like to get on their mailing list for their newsletters please visit their website at www.grimmbrosbrewhouse.com. 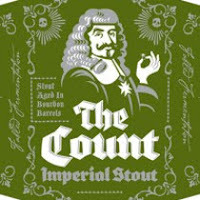 The Count Kickoff. Saturday February 18th at 3 PM we will be releasing The Count, a Russian Imperial Stout aged for one year in Buffalo Trace Bourbon Barrels. This is a bottle only release, but we will be doing samples at the kickoff. We expect a great crowd so show up early. This will be your first chance to buy bottles of this very limited release in our Fabled Series. Beer Dinner at Wapiti Colorado Pub. We will be having a beer dinner and tasting on Thursday February 23rd. We did one with them this fall and had a great time. The menu is still coming together but we promise this will be an incredible event. Tickets can be purchased by calling (970) 635-1985. We continue to increase our bottle distribution of our Gold Medal award winning Little Red Cap, and Fearless Youth. We are expanding slowly to meet the demand without running out of stock. We have also added several new tap locations in the last few weeks. To help our customers locate our beer we have launched a new page on our website with a map to where we can be found. 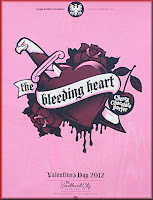 The Bleeding Heart release was a huge success. The release party for Loveland's official Valentines beer was packed to capacity. The limited edition art print designed by Tenfold Collective was hit. We plan on doing a special Valentine's project to celebrate this Loveland tradition every year. You can take a look at the print and back story from Tenfold at the link below. Stay tuned to our Facebook page as we have several fun limited edition beers coming this spring. We are also working on labels for several new limited edition bottle releases as well. - City of Loveland honors local brewery.